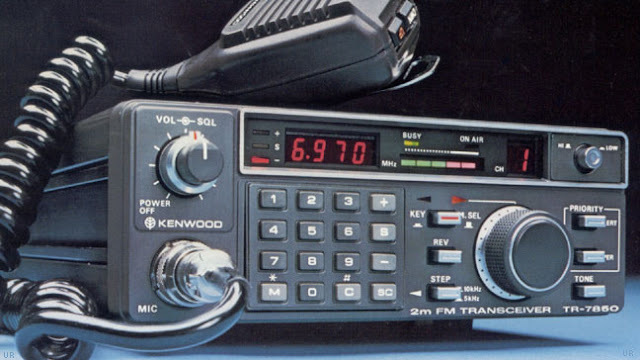 Kenwood TR-7850 is a compact, reasonably priced 25 watt 2 meter FM mobile transceiver. It has plenty of features including: 5 memories, memory scan and automatic band scan. Transmit power may be set for 5 or 25 watts. Frequency range is 143.9 - 148.995 MHz. 8.875 x 2.5 x 8.25 inches 4.7 lbs. Requires 13.8 VDC at 6 Amps. With Up-Down hand mic. The Kenwood TR-7800 is similar, but features 45 watts instead of 25 watts.